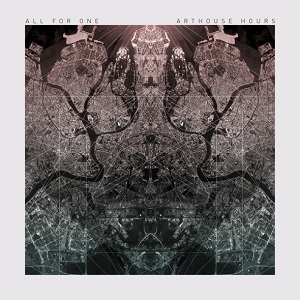 Arthouse hours are a Russian band, from St Petersburg. If you look closely at the album cover you'll see its a mirror image which at first looks fairly abstract but in fact it's a mirrored satellite photo of St Petersburg, so the album cover is actually a clever reference to where they come from. OK I referred to the album cover above, but although this is described as an album I have to disagree - this is an EP, no more than that. With six songs it falls too short to be called an album (unless the songs are long Prog rock opuses), but the running time is a mere 24 minutes, which again falls way too short for this to be called an album in my view. Moving on to the music now. Well the first thing to say is that this isn't an easy one to describe - there's no clear musical genre here, more a chaotic mix of styles. Take some Indie punk and throw in some Industrial, some Alternative, some rock, some Prog, and that's just a taster of what ingredients make up the band's sound. Vocally it's mainly screaming style vocals although 'Away' has straight singing. It's definitely not an easy record to listen to with its many changes of style, and lack of a consistent musical direction, but if you're a fan of some of the more unusual Prog rock/metal bands then this one may just be something that appeals. Certainly I think Prog fans are the ones who are most likely to embrace this album.